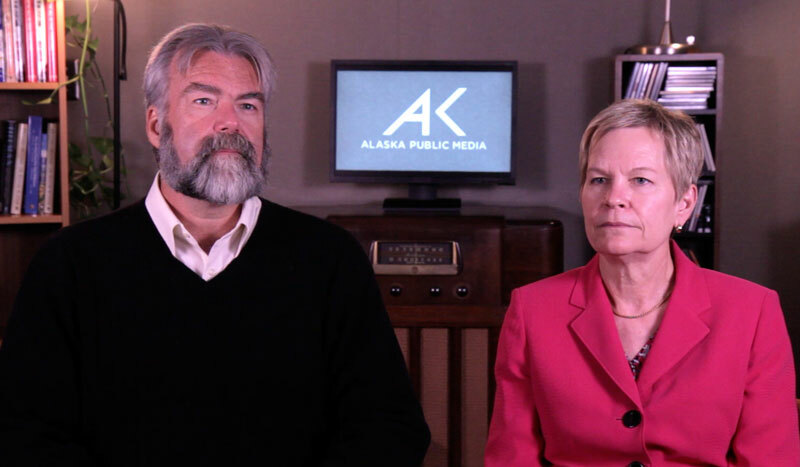 It’s pledge drive time at Alaska Public Media, which means lots of two person pitches. These are scripted and teleprompted via our handy iPad prompters, and we tape them in any place that adds variety to the surroundings. Most of the time we shoot with 3 cameras – 1 for each subject, and one camera in the center, to offer a two-shot for cutaways anytime we need to cut together several takes into one pitch. But I always struggle with the center shot, where both subjects are clearly looking away. So here’s a question: how do YOU solve this problem? Do you move the center camera (really) far back? Do you have the non-talking subject look at the center camera, so at least one subject is making eye contact? 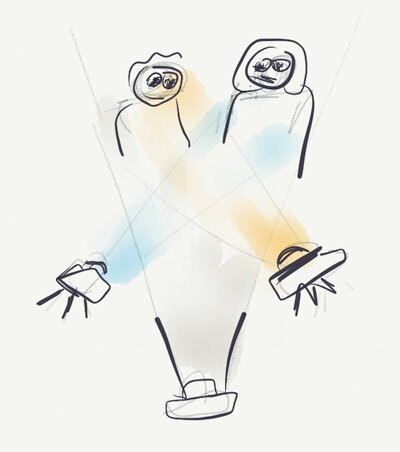 Do you have 4 cameras (2 two-shots, one right near each tight teleprompted camera) ? Or skip the two-shot altogether and go for something different?